Open Laboratory has big news. 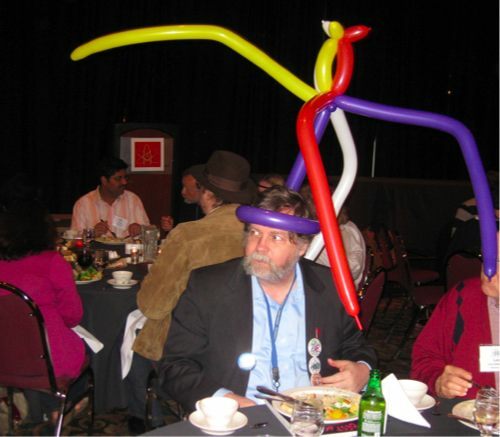 Open Laboratory is an annual publication of the best of on-line science writing. The coming edition will be edited by Jennifer Ouellette teamed with Bora Zivkovic and Amanda Moon, Book Editor at Scientific American and Senior Editor at Farrar, Straus and Giroux. Previously it had been self-published via Lulu (see there for the current and previous editions). I can imagine that being put out under the badge of Science American Books will bring it further creditability and a wider audience. On the latter note, Bora introduces changes to meet that wider reach – more on this to come in time, apparently. The editor of the up-coming 2011 edition, Jennifer Ouellette, is interviewed in the video below at the New York University Arthur L. Carter School of Journalism. It’s a long conversation, so have plenty of time ready. Try not be put of by the somewhat rambling introductions – Jennifer speaks very well. Skip to 2:45 minutes in if you want to skip the preliminary introductions. The ’conversation’ proper starts at about 7:30 minutes, but some of the background helps. Life On Earth, biologist E.O.Wilson’s new on-line textbook project, is aiming to be made available on-line free to all as ’“endowed content” that we can offer free to the students of the world’. 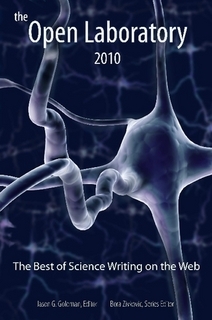 The finalists of the New Zealand 2011 Science Book Prize have been announced. If I can find time (! 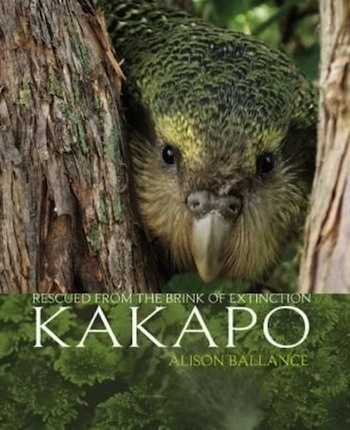 ), I hope to review Alison Ballance’s Kakapo: Rescued From the Brink of Extinction. The other short-listed candidates are Gareth Morgan and John McCrystal’s Poles Apart: Beyond the Shouting, Who is Right about Climate Change?, and Gillian Turner’s North Pole South Pole: The Epic Quest to Solve the Great Mystery of Earth’s Magnetism. The Guardian has a series of articles on science writing, Secrets of good science writing, complementing The Wellcome Trust Science Writing Prize 2011 (only open for those in the UK, I’m afraid). Articles include former editor Tim Radford’s advice to take big, wonderful and startling ideas and make them comprehensible, crystallographer Stephen Curry’s punny recommendation to Prize your science out of the lab, and Ian Sample’s thoughts on Science writer’s block. The Pulitzer Prize for General Non-fiction for 2011 has gone to Siddhartha Mukherjee and his popular science book, The Emperor of All Maladies: A Biography of Cancer. This review, Cancer: The Whole Story, appeared in PLoS Biology early this month. Congratulations to Alison Ballance, whose book Kakapo: Rescued From the Brink of Extinction was the winner of this yearâ€™s New Zealand Science Book Prize. I had hoped to review it, and still might if I can find time. In fact I originally had hoped to give a mock judging with a one-man pane – me! The judges may feel comforted (?) that my choices were, in order, Kakapo, North Pole South Pole, then Poles Apart. I may offer my thoughts on what readers these three books might suit and whatnot later – no promises Iâ€™m afraid as my time is over-committed at present. Besides I have another book I have review, Angela Sainiâ€™s Geek Nation.